Historical Iranian nuclear deal to be shelved again? With the accepted interim deal over Iranian nuclear program and constant negotiations within the P5+1 framework, the July 20 deadline is expected to be met, though one should be an optimist to expect this to happen so soon. The latest round of negotiations on the Iranian nuclear program took place on March 18-20 in Vienna. The P5+1 group (the United States, China, Russia, Britain, France and Germany) addressed Iran's uranium enrichment program, a nearly finished nuclear reactor and the lifting of sanctions on Iran that have been imposed successively over the past decade as Tehran expanded its atomic activities. All sides of the talks called the recent meeting "substantive and useful" and said they will continue consultations on April 7-9 which would take place in Vienna as well. Iran and the P5+1 group reached an interim deal last year for Iran to curb its most sensitive nuclear activity in exchange for limited sanctions relief. Both sides were really good at fulfilling their commitments which demonstrated their determination to resolve that long-standing issue and to finally achieve stability in the Middle East region. Well, maybe it won’t let reach stability in the whole region since there are many other problems, including the Israeli-Palestinian conflict, but at least it’s a chance to improve the situation and eliminate the danger of the possible emergence of a new nuclear state.Though no important decisions were taken, the latest round of negotiations is considered to be successful. Iran's Foreign Minister Mohammad Javad Zarif said he saw "signs" that the two sides would reach their goal of transforming an interim deal into a lasting agreement by July. "There are signs that an understanding is possible that respects the rights of the Iranian nation," he said. Iranian Deputy Foreign Minister Seyed Abbas Araqchi was less optimistic, just saying that "there is hope." He also noted that there is “no pressure for ending the negotiations within six months although there is a willingness to conclude the talks in this period." As regards the April round of talks, Araqchi said that it would be aimed at "exchanging views to reach mutual understanding". It seems that the talks were held in a rather positive atmosphere, with chances of the successful resolution of the Iranian nuclear issue to be very high. However, it is not really like this. The main impediment to the progress is the significant difference between America and Iran on the size and composition of the civil nuclear program that Iran will be allowed to have under a comprehensive agreement. Well, actually Washington still seeks to restrict Iran’s access to any nuclear power, which is obviously impossible. So the most difficult issue in the ongoing negotiations is uranium enrichment, which Iran says it needs to produce fuel for its civil nuclear energy needs, and the Arak reactor, which Western powers fear could yield weapons-grade plutonium. "It's a gap [on enrichment] that's going to take some hard work to get to a place where we can find some agreement," one senior US official said during the last round of talks. The US administration is prepared to accept an Iranian enrichment program as part of an agreement, but it insists that any such program be subject to strict limits capable of ensuring that Iran will not have a rapid “breakout” capability. In other words, Washington wants to be confident that, if Iran attempted to break out of the agreement and build nuclear weapons, it would not have enough time to enrich enough weapons-grade uranium for a single nuclear bomb before the international community could intervene to stop it. Iran has been claiming for a long time that it has no intention to create a bomb, it just wants its right for peaceful nuclear energy to be respected. Iran’s Foreign Minister Mohammad Javad Zarif has recently said that "Iran will only accept a solution that is respectful, that respects the rights of the Iranian people." "At the same time Iran finds it in its own interest to make sure that there are no ambiguities about Iran's intentions, because we have no intention to seek nuclear weapons," he added. While Iranian authorities continue insisting on Iran’s right to develop peaceful atomic energy, there is no joint position on the framework of negations within the state. Many Iranian hardliners believe the Iranian team has given too many concessions to the West in return for too little. Besides, even though in return for all concessions on its program Iran would see sanctions lifted, it remains uncertain whether ultra-conservative elements in Tehran around supreme leader Ayatollah Ali Khamenei would accept such limitations. 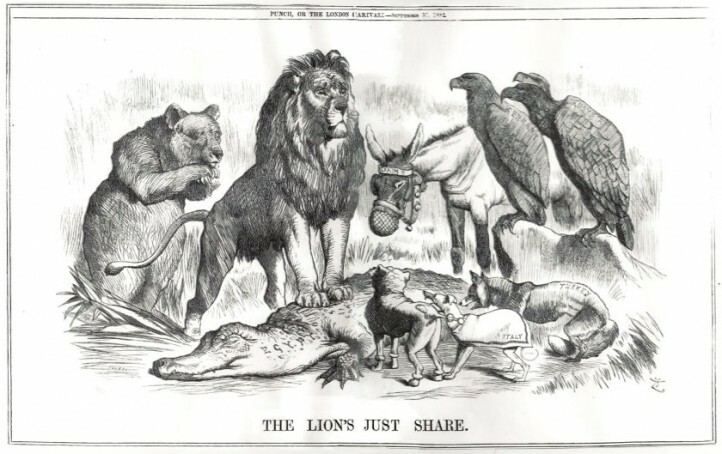 The same situation can be witnessed among US politicians. For example, a large group of US senators is calling for a set of "core principles" it wants to see in a permanent deal. In a letter to Barack Obama, 83 senators said Iran must understand there will be consequences for not reaching "an acceptable final agreement," including "much more dramatic sanctions." “We must signal unequivocally to Iran that rejecting negotiations and continuing its nuclear weapon program will lead to much more dramatic sanctions, including further limitations on Iran's exports of crude oil and petroleum products," the senators wrote to Obama. The letter also stated that Iran "has no reason" to have enrichment facilities like its Fordow site or the Arak heavy-water reactor. The Arak reactor, which is still under construction, is one of the biggest concerns of the West, who wants it to be modified sufficiently to ensure it poses no bomb proliferation risk. Iran insists the facility must be free to operate under any deal, saying it will be geared solely to producing radio-isotopes for medical treatments. "The Arak reactor is part of Iran's nuclear program and will not be closed down, (like) our research and development activities," Foreign Minister Javad Zarif said. Thus, it’s clear that both parties of the negotiations do not want to make any concessions and change their initial stance. While some progress has really been achieved, in particular Iran decreased its enrichment levels from 20 percent to 5 percent and opened its nuclear sites for IAEA inspections, it’s very unlikely that the April round of talks will make chances of signing a final deal more real. The situation in Ukraine could also have an effect on the negations over Iran’s nuclear program. While the talks themselves were steeped in mutual mistrust and years of adversity, tensions between Moscow and the West over Crimea could further strain diplomacy, which would decrease chances for a final deal. Nevertheless, Iran's top nuclear negotiator, Abbas Araghchi, said that the crisis in Ukraine, which is the worst confrontation between the West and the East since the Cold War, had so far had "no impact" on talks. "We also prefer the [powers] to have a unified approach for the sake of negotiations," he added. "I haven't seen any negative effect," Michael Mann, a spokesman for EU foreign policy chief Catherine Ashton, who coordinates the talks on behalf of the six nations, told reporters. "We continue our work in a unified fashion." As for Russia, Deputy Foreign Minister Sergey Ryabkov made quite an ambivalent statement during this round of talks in Vienna. At first he argued that "Moscow would not want to use these talks as an element of raising the diplomatic stakes," though he didn’t rule out the possibility of using Iran’s nuclear issue as a way to respond to US sanctions imposed on Russia - in the case of further escalation of tensions. "But if we are forced, we will follow here a path of responsive measures because in the end the historical importance of what has happened in the last days and weeks regarding the reunification of Crimea with Russia is incomparable to what we are doing regarding Iran," Ryabkov said. However, despite warnings that Russia could throw a wrench into nuclear negotiations with Iran, senior US officials downplayed this idea, saying they had seen “no change in the posture” of Russia in Vienna. In fact, it won’t be rational for Russia to undermine the nuclear deal process and there are a number of reasons for this. First, Russia, as well as other P5+1 states, is not interested in enlargement of the nuclear club since new members could diminish their strategic advantage. Second, it’s good to remember that the northern tip of Iran is roughly 160 kilometers from Russia’s southern border, and if Iran develops a nuclear weapon, that weapon would be a lot closer to Russia than to many other parties involved. Third, Russia prefers stability in the Middle East not only because its own stability and security depends on this, but Moscow also considers that an Iranian bomb could spark nuclear programs in other Arab countries, for instance, Saudi Arabia, with unpredictable results that would touch every single country in the world. Fourth, Russia has always had closer ties with Iran than the Western powers and has been seen to use its relationship with the Islamic Republic in the past as a lever of influence over the West. Given the ongoing war in Syria, another Russia’s ally, Moscow is interested in maintaining strong and warm relations with Tehran, and therefore, will try to smooth the talks as much as possible so as to get a beneficial deal. At the same time it’s in American interests not to escalate tensions with Russia and keep Moscow on track on Iranian talks. The failure of the P5+1 group to come to an agreement with Iran at the negotiating table will have domestic political implications for Obama. Reaching a nuclear deal with Iran remains his top foreign policy priority and, aside from the doom prospects of the Middle East peace deal, his best chance at a defining foreign affairs legacy. As it was already mentioned, none of the Western states has as good relations with Tehran as Russia has, so trying to take Russia out of the negotiation process, to isolate it or to continue an intimidation strategy would play a mean joke on the West itself. So in general, none of the P5+1 states is interested in halting consultations with Russia over Iran, and consequently, the great powers will further try not to mix up Ukraine and Iran, even though there is a little room for optimism as too many problems and disagreements on the final deal exist.